Morocco: A Historical, Cultural & Culinary Exploration | Pack A Fork! Join Pack A Fork! on this exploration through the wonderland that is Morocco. 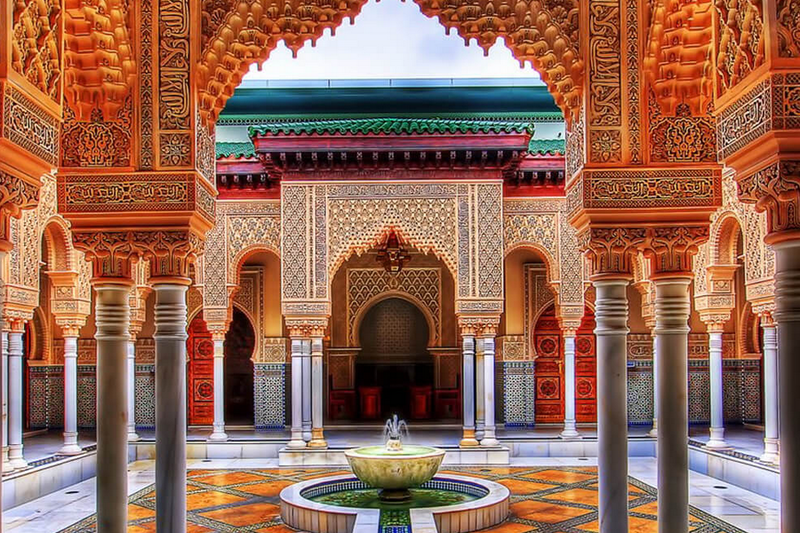 We’ll travel through this North African country characterized by its dramatic coastline, breathtaking mountains and sweeping deserts, Morocco is a country of dizzying geographic diversity. From its ancient cities and historic buildings to the winding maze of souqs in its medinas, the mixed Arab and Berber populations form a strong national identity. Today’s Moroccan culture takes the best of old traditions and weaves a new pattern while looking to the future. Morocco has a hundred faces and sounds – all ready to welcome its travelers looking for spice and adventure! Partake in a marketplace visit and traditional Moroccan cuisine cooking class with a local family in Fes; share together in the feast! Enjoy a true Moroccan evening in Marrakech at the city’s main square that comes alive with food stalls, snake charmers, henna artists, scribes and musical performers! Enjoy and learn about Moroccan cuisine by experiencing it with locals, guides and culinary experts! Sign up for our email list to be notified about promotions, our latest news and upcoming trips. Like our page on Facebook and check out past adventures! Reasons to Travel with Pack a Fork! © 2014-2019 Pack A Fork!